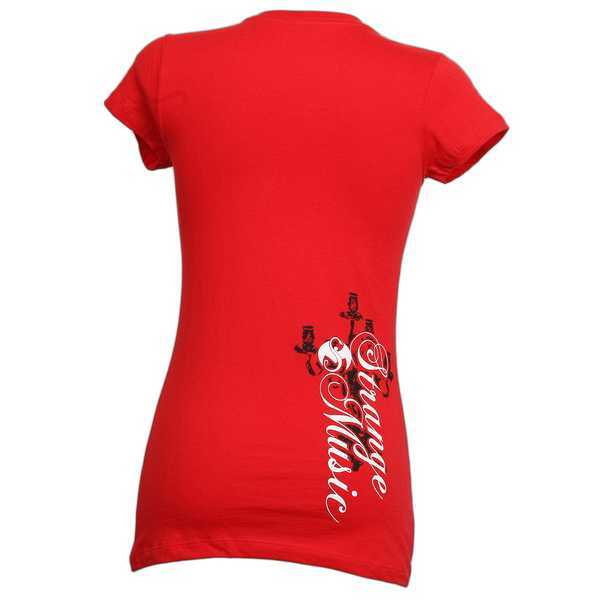 Represent Tech N9ne and his love for the ominous and paranormal with this red ladies candelabra t-shirt. The front of the cotton tee showcases Tech’s name in swirling white script on top of an image of an ornate black candelabra. On the lower right side of the t-shirt’s back, the Strange Music name descends across another, smaller black candelabra. Ladies, you won’t find anything else like this one. Get yours here.